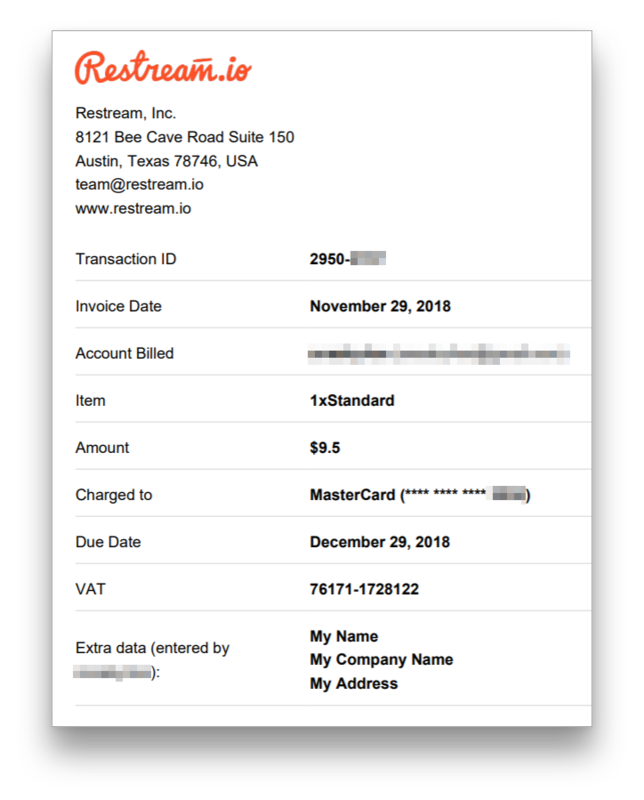 First of all, thank you for your purchase of any of the Restream.io paid features. 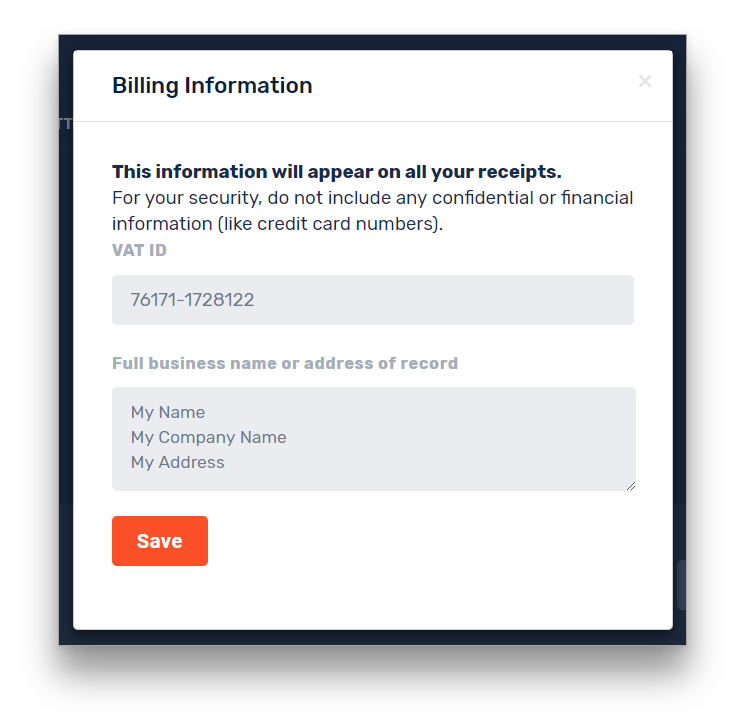 If you need an invoice for your purchase that should include required information - we have a special tool which will help you to create and get the invoices you need. Just follow the simple steps listed down below. 3. There you can see all of the payments you have made. And an option to "Add information"
4. By clicking on "Add Information" you are able to fill in additional data to attach to your invoice. Just fill in the information you need and click "Save". 5. 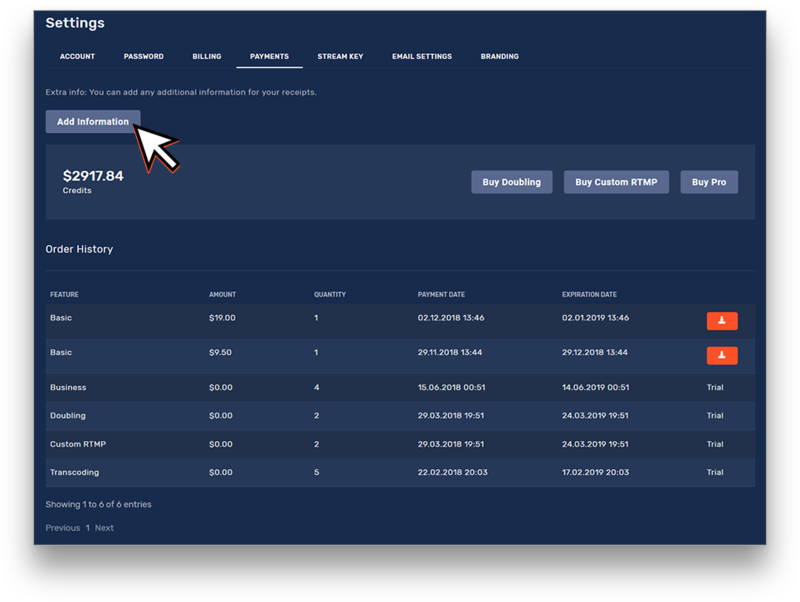 You will now have your additional information attached and you can simply hover and click on the "Download Invoice" icon, after that, your invoice will be automatically generated and downloaded by your browser. 6. Here's an example of an invoice with custom information. 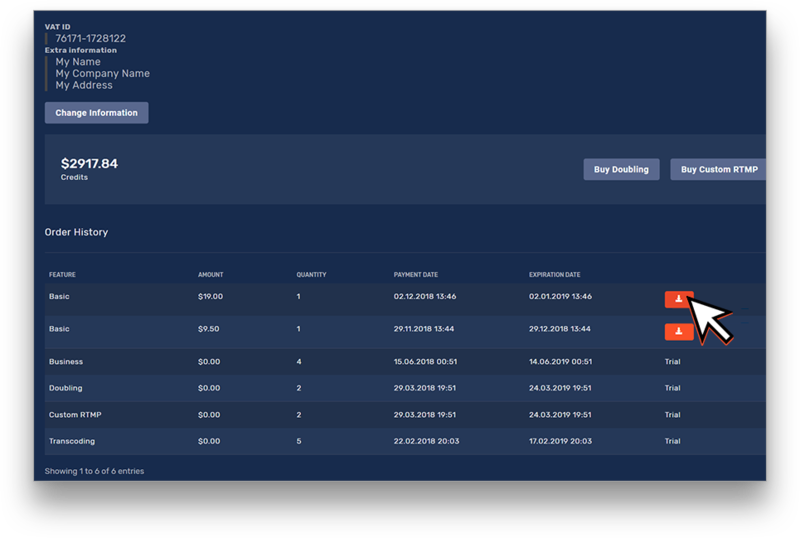 So it's just simple as that, you can generate as many invoices as you need. If you still have questions you can always contact our live support. Important: You cannot download an invoice for a service purchased with referral credits, or if the purchase or switch was fully covered with the proration credits. 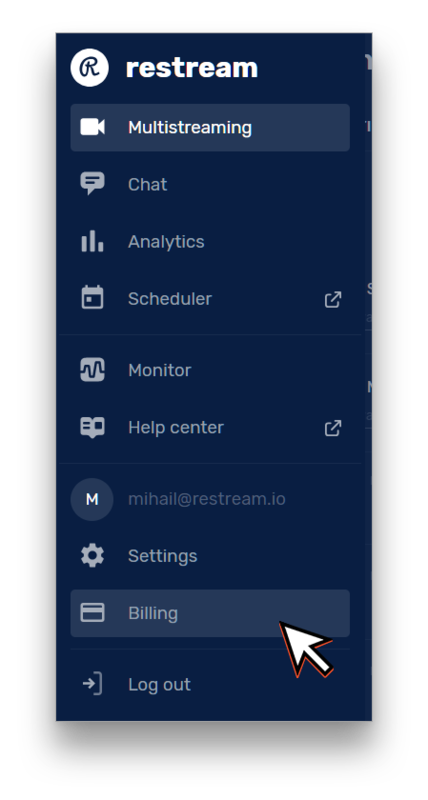 You can also learn how easy it is to manage your subscriptions.